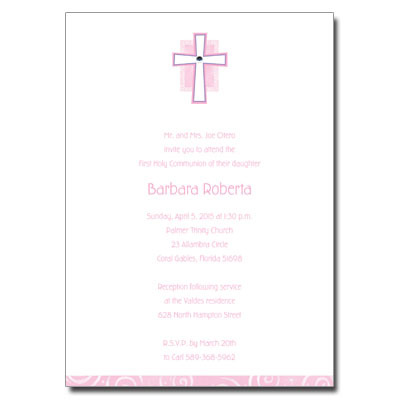 A jewel is placed in the center of the cross on this elegant communion invitation to represent your child's bright new beginning. Assembly is required. Card measures 5x7.